Corporate Sustainability Strategies (CSS) is an independent commercial real estate sustainability consulting firm, passionate about results. Services are client-centric, centered on driving enhanced financial returns by designing and implementing cost effective sustainability strategies. We provide expert consulting services centered on driving investor returns by designing and implementing cost effective and value creating sustainability strategies. CSS can support an existing program that is not maximizing potential or create one based on a proven model with a strategic focus. Companies may have dipped their toe in the water of sustainability and have achieved an ENERGY STAR Label or perhaps even LEED certification. These are great tactical actions and provide advantages. However, Corporate Sustainability Strategies takes sustainability to the next level by developing an over-arching strategy that integrates sustainability into the way organizations do business. Brenna Walraven is an internationally recognized innovative and dynamic leader in the commercial real estate industry. For over 28 years, she has excelled at leading large, diverse real estate organizations and has served some of the most discriminating institutional investors. In 2014, Ms. Walraven founded Corporate Sustainability Strategies (CSS), a firm dedicated to providing best practice solutions for real estate management and sustainability through thought leadership, innovation, and the pursuit of excellence. CSS helps clients develop and execute strategies in areas of real estate operations, asset management, property and facilities management, sustainability, and advisory services. 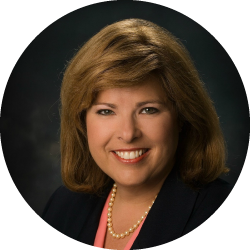 Ms. Walraven’s experience includes roles as Head of Property Operations, Portfolio Manager for multi-family, MOB and retail portfolios, among others, providing strategic leadership for a $12 billion, 100 million square foot national, multi-sector real estate portfolio reporting to the CEO. She has worked with many clients developing and implementing sustainability strategic plans, and she specifically helps clients prepare for and submit to Global Real Estate Sustainability Benchmarking (GRESB). Ms. Walraven served on California Governor Schwarzenegger’s Real Estate Leadership Council, and she has testified before Congress on issues of energy efficiency and sustainability. Ms. Walraven has been a public speaker for over 25 years and writes regularly for BOMA International, Journal of Commercial Real Estate, Urban Land Institute, and other publications. In addition to being an accomplished author, a sought-after speaker, and a talented instructor, Ms. Walraven thoroughly enjoys helping organizations and teams be the best they can be in the real estate industry. Brenna participates in a variety of industry-related panel discussions and speaking engagements. She participated in the Sustainability Accounting Standards Board (SASB) real estate industry working group to develop sustainability disclosure. Brenna Walraven participates as a member of the DOE’s Better Building Alliance (BBA) Commercial Real Estate Steering Committee. Better Buildings creates tools, resources, and initiatives that help push the market towards greater adoption of energy efficiency and sustainability. Brenna advocates for the Better Buildings platform to industry peers, helps to recruit new members and reviews resources under development by the Better Buildings Solutions Teams.